Nan Goldin, Trixie on the Cot, New York City. 1979, silver dye bleach print, printed 2008. 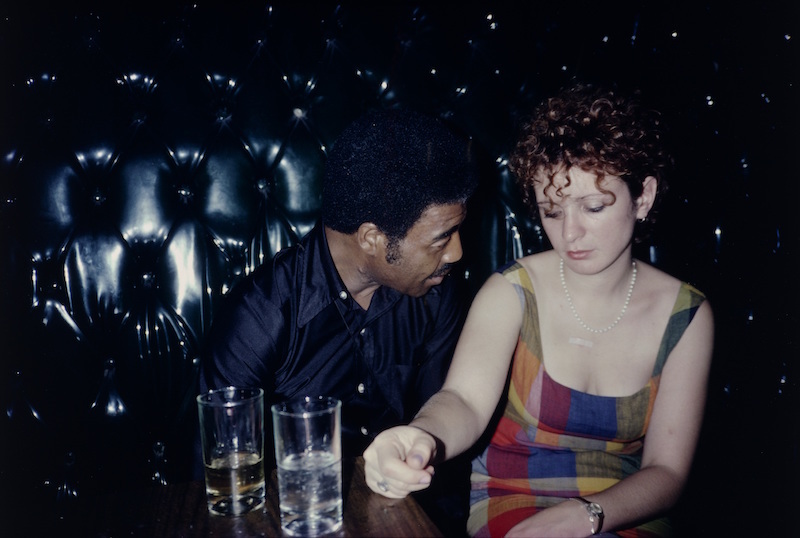 With the Museum of Modern Art in New York having recently put on view Nan Goldin’s The Ballad of Sexual Dependency—a slide show of photographs of herself, her friends, and her lover that she began presenting in the mid-1980s, with the AIDS crisis looming—here are two excerpts from the ARTnews archives about Goldin. Below is a 1993 look at Goldin as an up-and-coming artist, and, from 2006, Barbara Pollack’s review of a Goldin show at Matthew Marks. Nan Goldin (American, born 1953). Buzz and Nan at the Afterhours, New York City. 1980, cilver dye bleach print, printed 2008. The centerpiece of Goldin’s show was a 40-minute, three-screen multimedia projection, Sisters, Saints & Sibyls (2004), which equates the story of her sister’s suicide and her own history of drug dependency with the martyrdom of Saint Barbara. Family snapshots are coupled with the artist’s solemn voice-over, one of many clichés relied on in this project. As the projection shifts to more recent pictures—images of Goldin’s suburban childhood, the railroad tracks where her sister died, or the artist at a rehab clinic—the work turns maudlin and sentimental, relying on the goodwill of sympathetic viewers. Goldin’s strength has always been self-portraits, and the ones on view here were the most psychologically revealing and emotionally searing pictures in the sow. It is impossible to look at an image like the one of the now middle-aged photographer with self-inflicted cigarette burns on her arm and not wonder why such a talented, original woman is so consumed with the myth of the self-destructive artist. Goldin continues to court pity and condescension, rather than appreciating that the best of her photographs have already won her our respect and admiration.